With land based betting limited to horse racing and no domestic online sites, more and more Bangladesh sports bettors are using international companies to wager online with. The country is situated in South Asia with the Bay of Bengal on its southern shore. The country gained independence from Pakistan in 1971 although it was not until 1991 that democracy was restored. Unfortunately since then the country has been subject to periods of political instability including some violent episodes. In this article on sports betting in Bangladesh you can first find an overview of live sports betting in the country. After that the online market is covered along with the taxes you may be expected to pay on winnings. Then the accessibility of online sites for Bangladeshis is looked at next – before some final thoughts on the future of the industry. Nearly all forms of gambling have been illegal for a long time under the Public Gambling Act of 1867 , an act originally created as an Indian law when the region was under the control of the British Empire. Although the law has seen modifications to allow for occasional lotteries the only significant exemption is betting on horse races. The exception for horse racing is pretty worthless nowadays. The Bangladesh Rama Race Course, the only racetrack which used to host Sunday racing in the post-colonial age, has now been called Suhrawardy Udyan and is a memorial ground. The area commemorates the spot where the Pakistani army surrendered in 1971 and there have been no competitive racing here for years. Used primarily for rallies and as a tourist site the area has since rapidly declined . Despite this betting still exists although it is kept underground. Sports events like cricket, football and Kabadi often create small betting circles which operate largely uninterrupted by the authorities, who prefer to save their resources for the larger gambling enterprises. With no legal online companies in Bangladesh and no laws against using foreign sites, in theory Bangladeshi’s can visit whichever intentional site they choose. While these betting sites provide gambling services they do so outside of Bangladesh’s jurisdiction and there appears to be no desire yet from the government to stop it. Meanwhile as technology advances more and more Bangladeshi’s find they can get online. 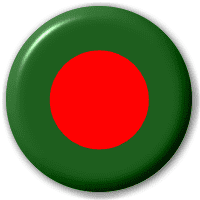 As there are many companies accepting custom from Bangladesh sports bettors it best to stick to those with solid reputations and a proven history in the industry. Many sportsbooks from Europe are run by large companies, some of whom are listed on international stock exchanges. They are also licensed by some of the strictest bodies governing online gaming. In addition to a large degree of trust these sites can provide you with some of the best prices on a whole range of events. Sign up bonuses and free bets are often available, just be sure to check the terms and conditions for these as they can vary a lot. As all online sports betting in Bangladesh is carried out on foreign sportsbooks there are no provisions in place to tax individuals. Therefore once you withdraw your winnings they are yours to do with as you please. While you can find some sites in Bengali it is not common, although nearly all sites offer English. A similar situation applies with the currency used for wagering as not many sites accept bets in BDT, meaning instead the site will have to hold your balance in another currency such as US dollars or Euros. This is not too much of a problem as when you deposit there will be an automatic currency conversion, the same as buying any product online from a supplier, although when you come to withdraw you may lose (or even gain) some value due to differences in exchange rates. When you come to deposit credit and debit cards are used by many and have proven too be reliable methods. Visa and MasterCard are both accepted by the vast majority of sites, although you may have issues withdrawing to MasterCard. In this case your chosen site can normally arrange a bank transfer or check to be sent. Other deposit methods include e-wallets like NETeller which allows you to move money quickly from a central online wallet. NETeller also allows you to have you wallet in your chosen currency which cuts down on currency exchanges. If you prefer to use prepaid methods then several options are normally available locally or you could ask the betting site’s customer service as to which one is recommended in your area. 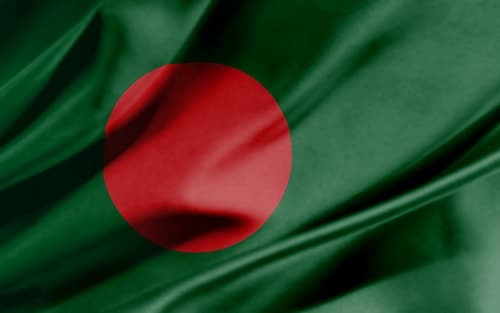 With a large percentage of the population following the Muslim faith it seems unlikely there will be any changes to the legality of gambling within Bangladesh anytime soon. The positive site of this is that there does not seem to be any plans to restrict online wagering via foreign companies and as technology advances it should make such sports books even more accessible.